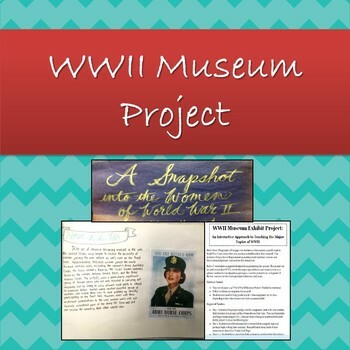 This project will engage your students as each group explores a specific topic in World War II and creates their own museum exhibit based on their research. Your students will practice writing summaries, making creative primary sources, and discovering real primary sources from the time period. 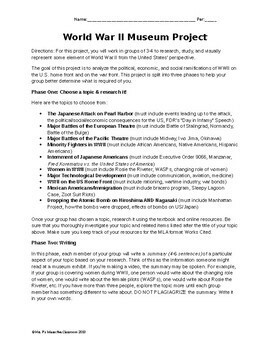 This project can be used to introduce WWII, review the major topics before a unit exam, or even as a primary method for teaching the major topics. I use this project in my 11th grade US History course to review the major topics before our unit exam. Insta-Past! An Instagram-Inspired US History Preview or Review Timeline! For freebies, teaching tips, and more, sign up for my monthly newsletter and check out my blog!